Asking a friend or family to give a speech at your wedding can be on the greatest honors you can bestow upon a person for your special day. But before it’s showtime and that person finds themselves standing up in your reception hall with a glass of bubbly and lots of nerves, there are some things you might want to remind them before they give the toast. 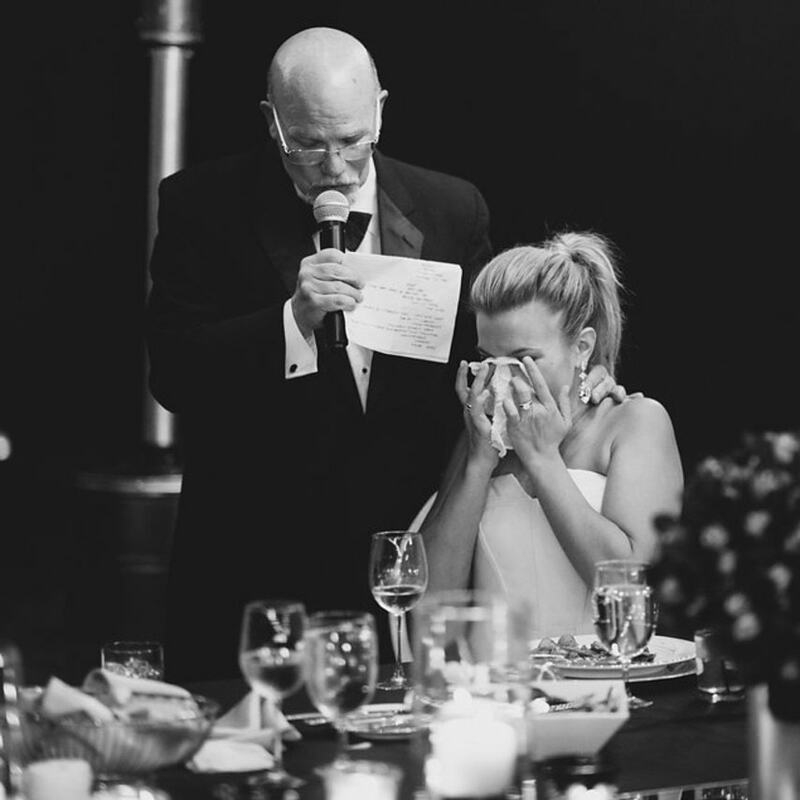 Here are the seven most important things to remind those giving a toast at your wedding. 1. Bring an extra copy of your speech. Print out an extra copy and give it to a friend to hold in case you misplace yours. Save it on your phone too, just in case nobody can find a paper trace of the speech right before it’s time to deliver it. 2. Don’t rush to the open bar. It may seem like a good idea to kick the nerves by taking multiple trips to the open bar before you give your speech. Try not to take down too many shots before you read your words or else you may be stumbling over them more than you’d like. The best speeches are the ones that are short, sweet, and don’t include extra minutes of rambling words or verbal fillers. 4. Ditch the inside jokes. Unless the joke makes sense to everyone in the room, leave it out of the speech. You want to make sure you grab the audience’s attention and not make them feel like they weren’t invited to the party. 5. Practice makes you less nervous. The more times you read the speech to yourself, the more you’ll feel confident on the day of the wedding to deliver it to a room of people you’ve probably never seen before. Keep the speech as PG as possible. Remember, the audience is filled with all different people from the bride and groom’s life. 7. Leave out anything too embarrassing. If there’s a story or a memory that’ll get the bride or groom’s cheeks flushed red, leave it out. You don’t want to leave them in tears — unhappy tears — after the speech is over. ← Previous post:Silent disco !